There is a poll in relationship to this post. If you are reading through a RSS feed or reader, take a moment to come by the sight to add your vote! It will be at the top of the right hand columns, and "Thanks" for taking the time to join in! This is as good a time as any to make a post. I'm at a temporary loss of internet since early this Friday morn, and don't expect it back untill tomorrow afternoon, Sat. Apparently an underground wire wasn't quite where it was suppossed to be, and is now waiting repair. I did have a short time in game this morning before the incident and Sol managed to obtain the last two TB commendations needed for his staff upgrade. He took a minor loss to spellpower and hit with the change, but gained in all the other stats. Besides, he will make up the loss somewhere else before long. The power of positive thought, or so they say. 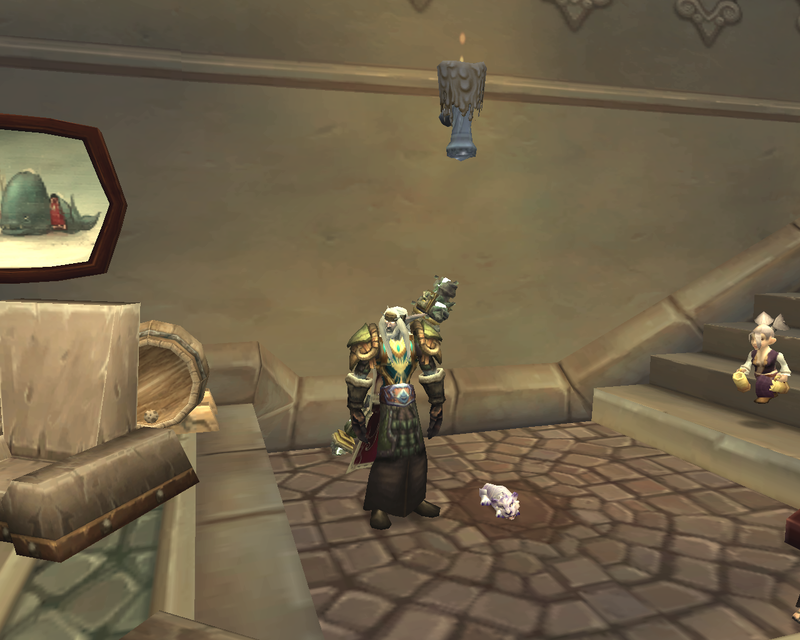 I'm not what one would call an avid pet collector in-game, though I do like watching for those odd pets to come along or the ones not everybody in Azeroth already has. This is not to say that I don't have some of that flavor, as they were collected during early leveling years. 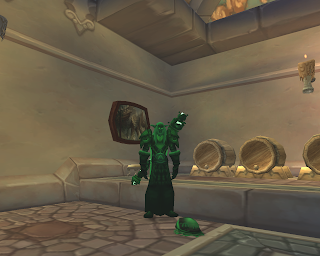 I'm sure that I also don't quite meet "Hoarder" status such as perhaps Saz would define pet collecting. With something like 57 pets, I'm somewhere in the middle sitting on the fence. Khrox, the hunter, uses Petopia to guide his cravings for rares and exotics. Sol wanders through the pet and mount listings with Warcraft Pets and Warcraft Mounts respectively. (Links in the sidebars will take you to his collections, if your interested) While updating his pet collection mid-week, Sol came across two he thought would be nice additions, so the next morning found him off on adventures to round them up. Not hard really, one had to be farmed, but the other was a simple continent jump to purchase. The Disgusting Oozeling took about 30 minutes to farm in Swamp of Sorrows. 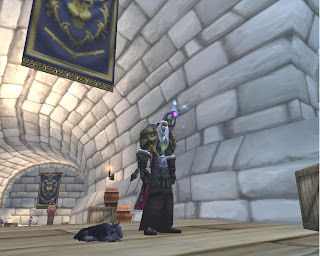 The Winterspring Frostsaber Cub was adopted for his Winterspring Frostsaber to raise. This is kind of like a 'set', now. And I guess now, that the Frostsaber's true identity is for sure female. I'm sure she'll be a wonderful Mom. The Winterspring Frostsaber mount turned out to be a Mom! Sol's mount collection is in about the same boat, somewhere inbetween causal and "Hoarder." His only drake of coarse is the Albino Drake offering from the mount achievements. Actually quite useful on long flights. Sol has made consious decision to go for the next level of achievements on both pets and mounts, it's just a matter of time before he gets there. And that brings us to the last section of the post title, "Achievements." There has been something of an on-going "discussion-debate-opinionated postings" thing around lately over game achievements. Are they "real" or "not", are the people seeking them actually accomplishing anything, their life value, yada-yada-yada and so on. I'm not going to bother with linking the original and "debating" posts, (general use of terms here), but I will reccomend Pshcochild's take on the whole matter, and his post does have links. As for myself, yes, I do like my game achievements. Yes, I do feel that each one does bring me some moments of satisfaction when accomplished, and I look forward to the next victory be it minor or a rough journey. So yes, at least for me, they are "real." And that is what it boils down to. The individual person and how they feel about game achievements. BTW, I also spend time working at other achievements with pleasure, those which benefit the guild. My way of contributing to the overall good of the guild and my guild mates. Gotta love this little panther cub!